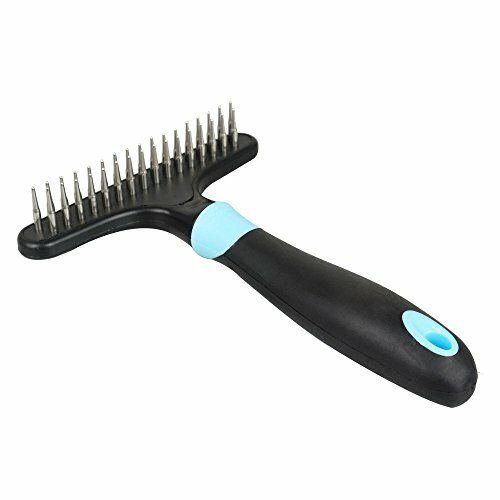 This pin comb has a comfortable grip with a handle made of TPR and PP,that does not cause skin allergies. The pins are made of durable stainless steel . Combing frequently massages your pet and makes it's hair shiny.